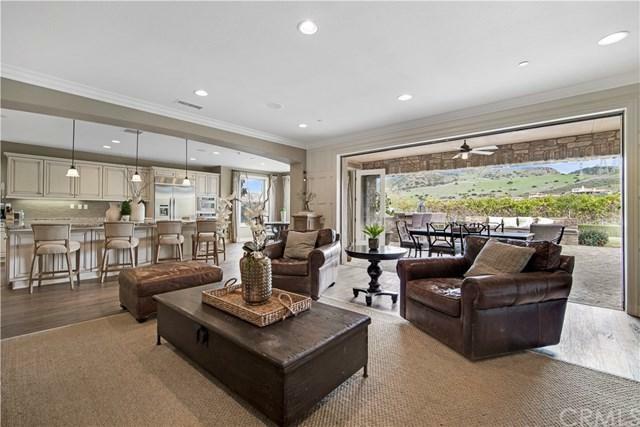 This stunning Rancho San Juan home is done to perfection and located in the prestigious Mirador Community on a premium cul-de-sac, single loaded, generously scaled homesite. 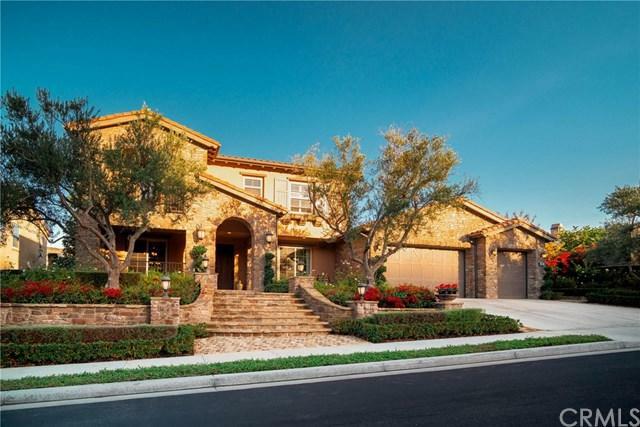 The front of the home is tastefully landscaped to accentuate the Tuscan architectural elevation. As you approach the property, the beautiful curb appeal is a hint of the opulence that awaits inside. The interiors offer an open floorplan and Luxurious high-end finishes with every detailed considered from high end flooring to wall details to fixtures and more. Residence 5 Floor Plan; 6 beds, including a casita, 8 baths, Capistrano Room (outdoor living space), media room, a main Level bedroom suite, large open kitchen, butler+GGs pantry, and formal dining. This well-designed floor plan creates the perfect indoor/outdoor lifestyle w/ approx. 4,948 sq. ft. of sophisticated living space. The back yard feels as if you are in Italy at your own Italian Villa. It+GGs truly an oasis and the perfect mix of mature landscape, custom stone work, citrus trees, dramatic water features, architectural accessories, built-in BBQ with bar and bar seating, Firepit with built-in seating, covered outdoor entertainment area w/ TV & fireplace and so much more. This highly desirable community includes gated entries, private park, picnic area, BBQ, & basketball/tennis court. Sold by Marc Raine of Redfin.